Take the highway A1 in direction Rome. After about an hour of driving you will find the exit (“USCITA”) Val di Chiana – Bettolle. Follow the directions to Montepulciano (15 km) and you will arrive at the traffic lights in Montepulciano; on your left you will find a church with a parking place in front it, follow the roundabout and keep the church on your left, keep left on the street which goes downhill. Pass in front of the supermarket “Conad” and then turn right and follow the signs to “autostazione” (busstation); there you will find another roundabout, keep left and follow the street downhill; on your left you will find a tenniscourt, pass it and then turn immediately to the left (white sign which indicates “San Martino”), after 600 meters turn left following the indication to Fattoria San Martino. Take the highway A1 in direction Florence, after about one hour and a half of driving you will find the exit (“USCITA”)Chiusi. Follow the indication for Chianciano – Montepulciano. When you arrive on the crossroads right in front of the historic centre of Montepulciano, turn right following the indications to MONTEPULCIANO, Torrita, Sinalunga, follow the street with the pine trees and on a certain point cross a bridge and after it you will find a bar on your right (“Caffè Stella”), after 10 meters of green you will find a street on your right wich goes downhill. 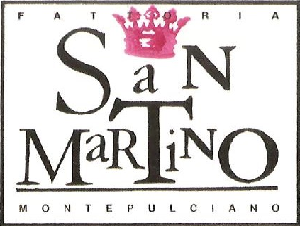 Keep right and follow the street downhill; on your left you will find a tenniscourt, pass it and then turn immediately to the left (white sign which indicates “San Martino”), after 600 meters turn left following the indication to Fattoria San Martino.